We are really glad to announce that we have improved our integration of Xfers into our wallet services. 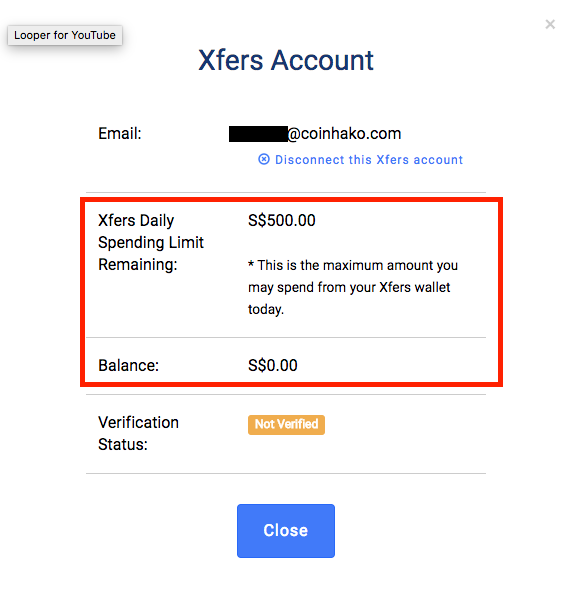 Xfers is an inter-bank transfer wallet that is easy to use and offers fast money transference service, similar to Paypal. You should now be able to see an additional Xfers SGD wallet in your dashboard. 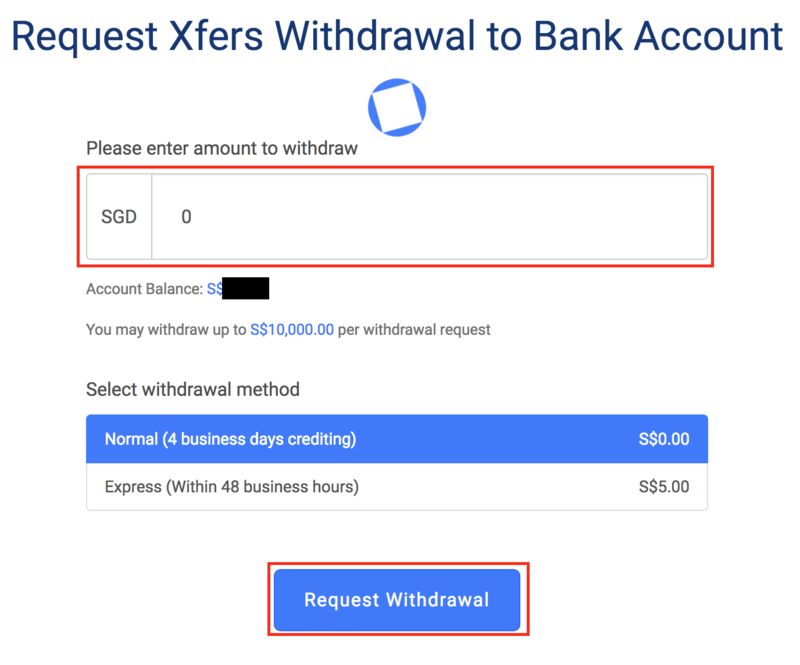 You may utilize the wallet to request SGDwithdrawals into your Xfers account via Xfer’s inter-bank transfer service and/or deposit SGD into your Xfers wallet via Xfer’s inter-bank transfer service which can then be used to trade on Coinhako. More details on how to use your Xfers Wallet can be found below. You may deposit SGD to your Xfers account through Xfers’ inter-bank transfer service. Deposits made through Xfers’ inter-bank transfer service will be credited to your Xfers account within a matter of minutes. Select ‘Deposit SGD‘ under the ‘Xfers SGD Wallet‘ section in your Dashboard. You may also refer to the Question Mark Button ‘?’ in the bottom left hand corner for more help. 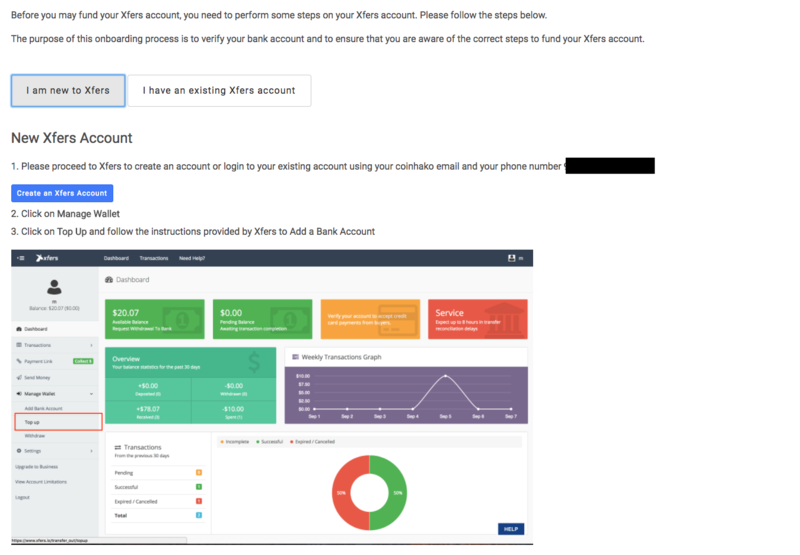 Xfers allows you to withdraw directly to your bank account. This is dependent on the Withdrawal Method that was chosen. Please refer below for more information (Step iv)). 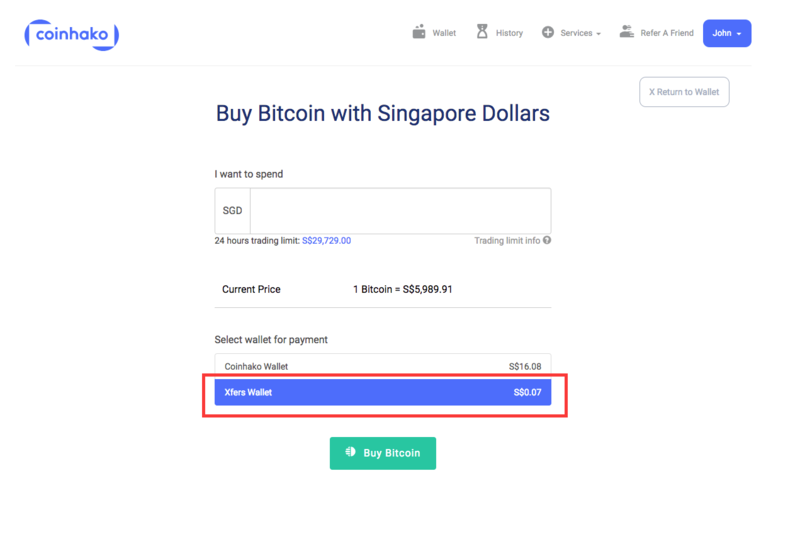 You may purchase Bitcoins and/or Ethereum using SGD as per normal. 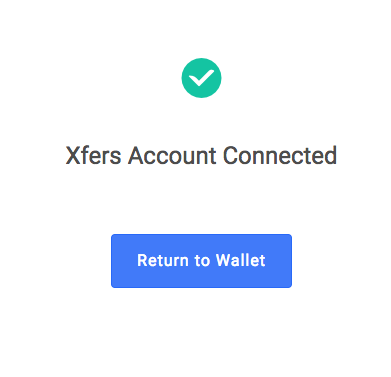 Please do remember to select the ‘Xfers wallet‘ option in the Buy page to use the funds from your Xfers Wallet. 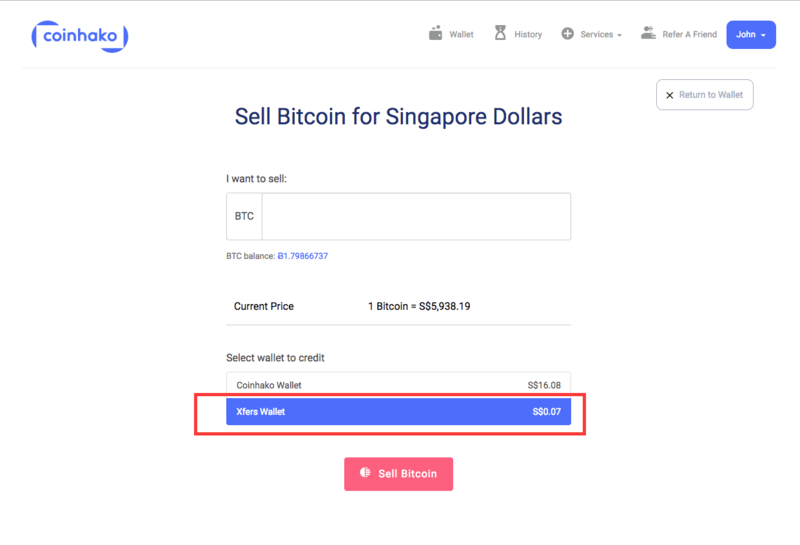 You may also sell Bitcoins and/or Ethereum using SGD as per normal. Please do remember to select the ‘Xfers wallet‘ option in the sell page to use the funds from your Xfers Wallet. There will be no difference in Daily Trading Limit for Cryptocurrencies while using your Xfers Wallet. Maximum trading limits are evaluated on a case by case basis based on your income level. Should you require any increase your trading limit, kindly complete the questionnaire and go through the income verification. You may refer to this linkhttps://www.coinhako.com/wallet/verificationto submit the relevant documents. This has no limits. However, please kindly note that withdrawals can only be processed up to SGD10,000 per request. CoinHako’s improved integration with Xfers now allows you to check on your Xfers account’s Daily spending limit and balance as you trade and/or process transactions on CoinHako’s interface. 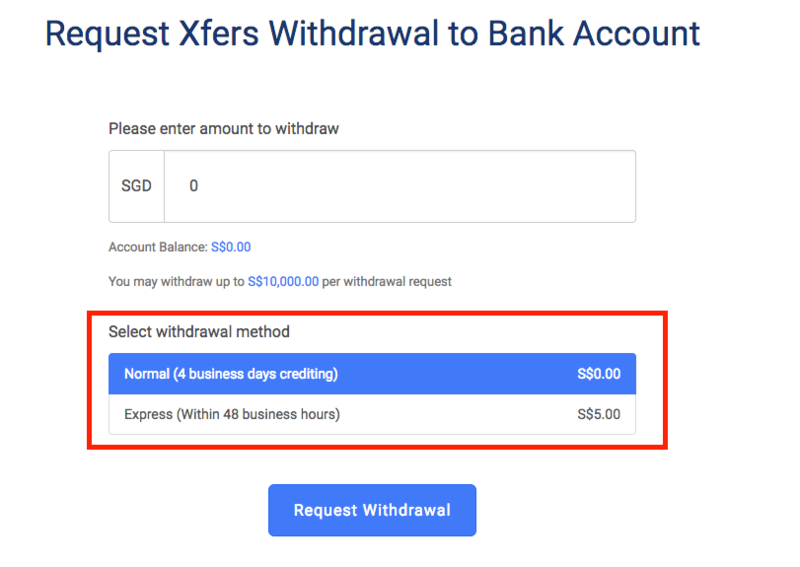 For any enquiries pertaining to Xfers Daily Limits you can refer tohttps://www.xfers.com/sg/help/or contact their support team at support@xfers.iofor more information. Can I increase my Daily Trading Limit? The maximum trading limit is evaluated on a case by case basis based on your income level. The allotted Daily Trading Limits are to ensure that you have a smooth and pleasant trading experience with Coinhako without any disruptions. If you would like to increase your daily trading limit, kindly complete the questionnaire and go through the income verification process. You may refer to this link https://www.coinhako.com/wallet/verification to submit the relevant documents. 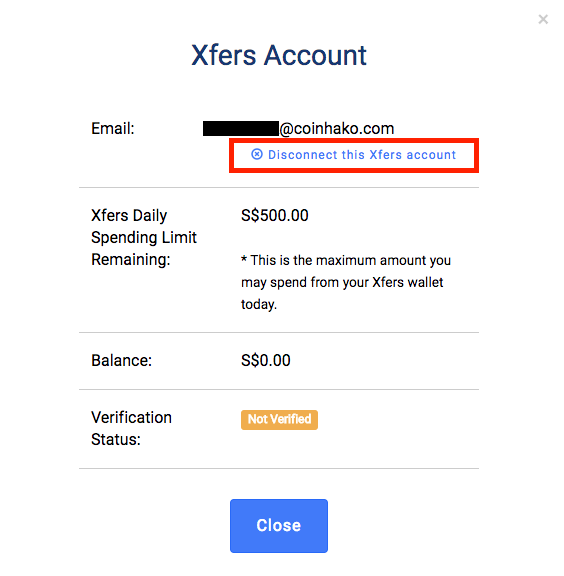 You may get your Xfers account verified with your different mobile number and/or edit your Xfers account information that is linked to CoinHako. 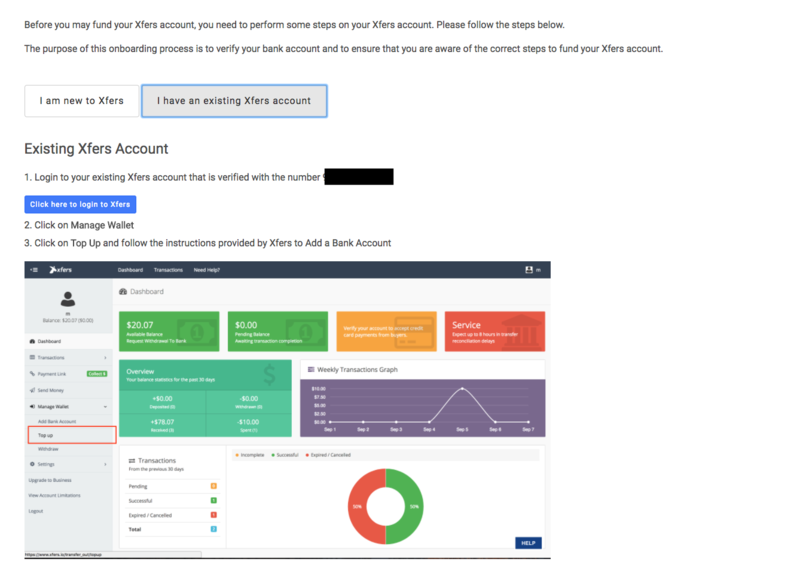 Your Xfers account information will reset and you can follow our Xfers set-up instructions (Refer to Part 2, 1.) to get your Xfers wallet up and running. You can find these options in a drop bar at the bottom of the Withdrawals page. 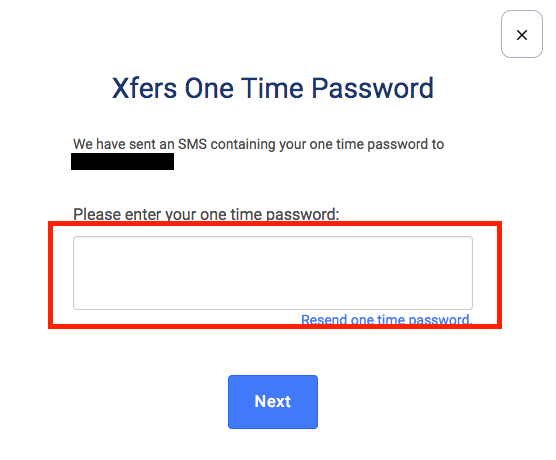 You may also visit the Xfers web page at https://www.xfers.com/sg/ if you wish to read up more about the service. RSS Feed Update Signup Form: Do not miss the latest updates on our blog and any latest happenings in CoinHako. Subscribe to our RSS Feed Mailing List today.